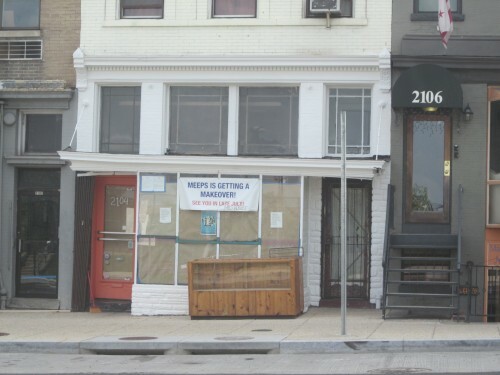 Meeps closed for renovations at 2104 18th St, NW in mid-June. A Washington, DC fashion force for twenty years, Meeps has undergone a major renovation and is re-opening August 16th to reveal its metamorphosis. In the hands of new owners and expert vintage curators Cathy Chung and Katerina Herodotou from Treasury Vintage, Meeps will re-emerge with a newly infused, curated aesthetic that includes casual vintage, contemporary designers, a buy-sell-trade system, and a Cosmic Costume Room coming in the Fall. Meeps’ new era also includes a renewed emphasis on the local, with area artisanal wares, fun social happenings and DC artists and musicians taking center stage.